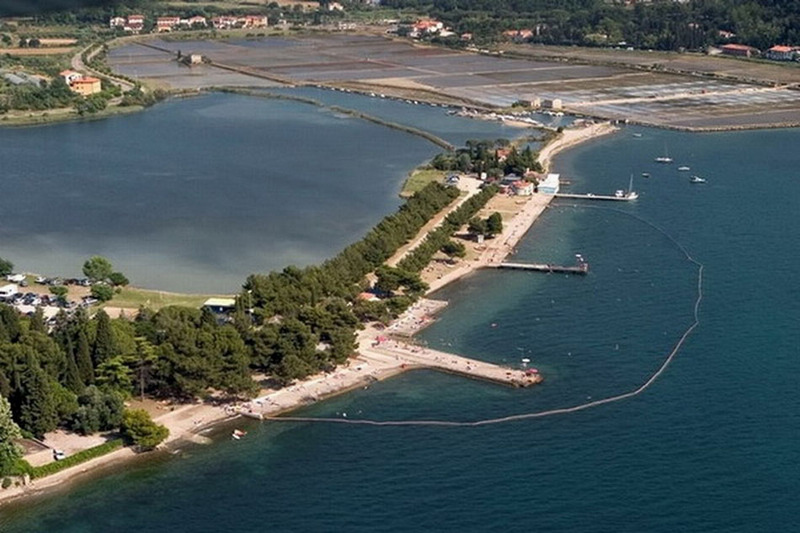 Strunjan allows for swimming at two public swimming sites. 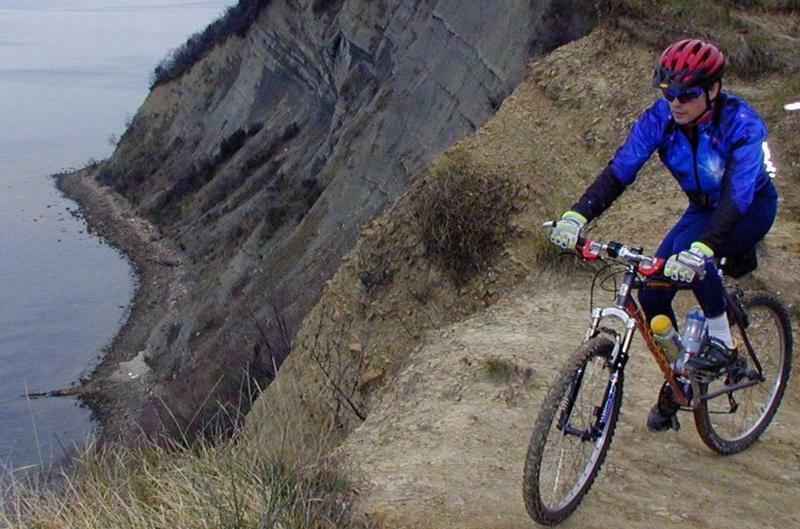 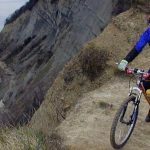 Everyone who likes some peace and quite however can resort to wonderful wild beaches under the famous flysch rocks. 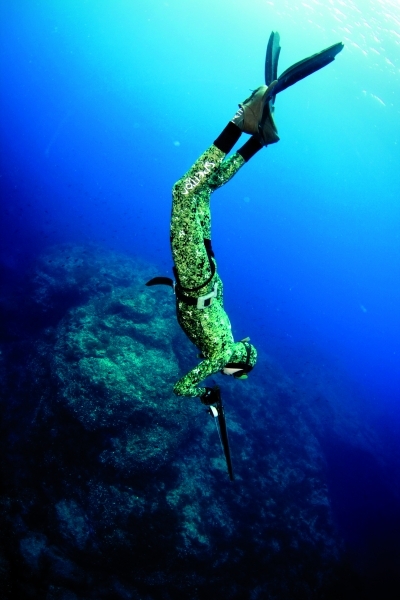 Do not forget to bring your dive mask since there is a lot to see. 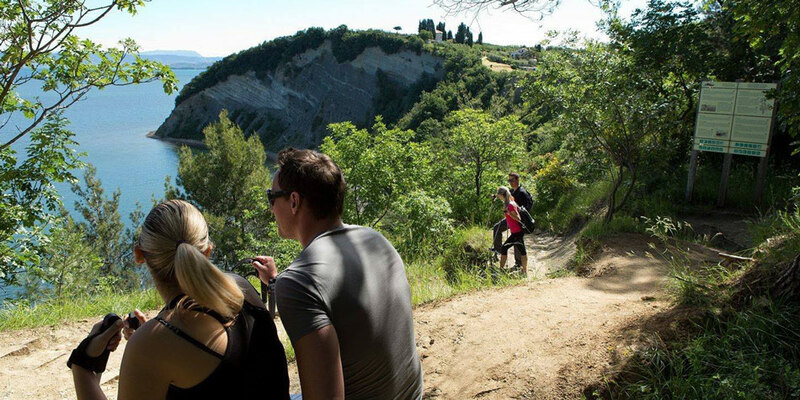 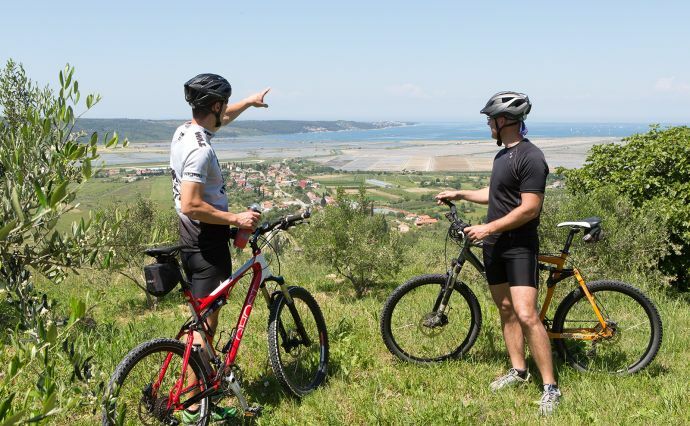 The surroundings of Strunjan offer numerous walking paths. 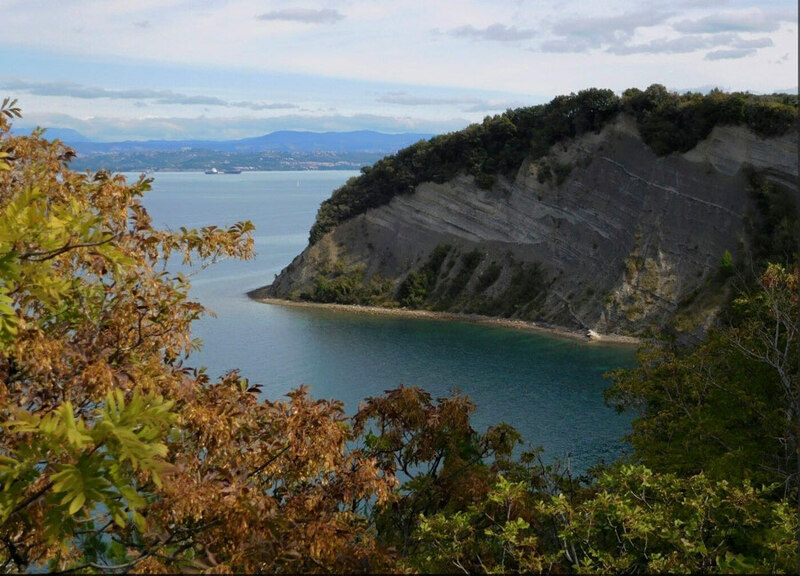 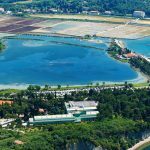 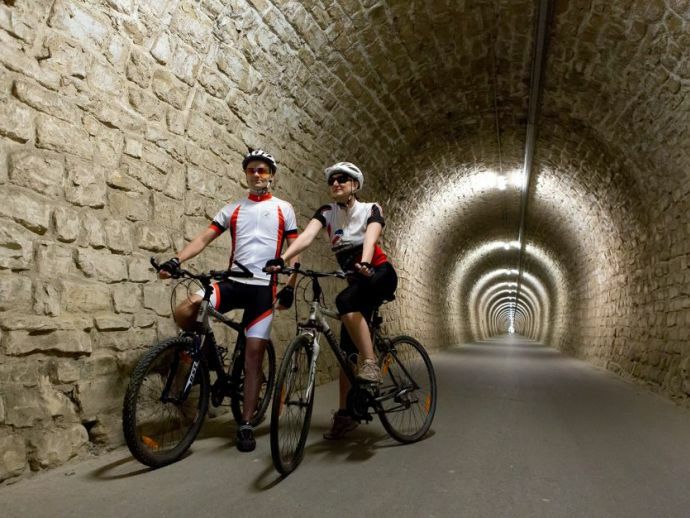 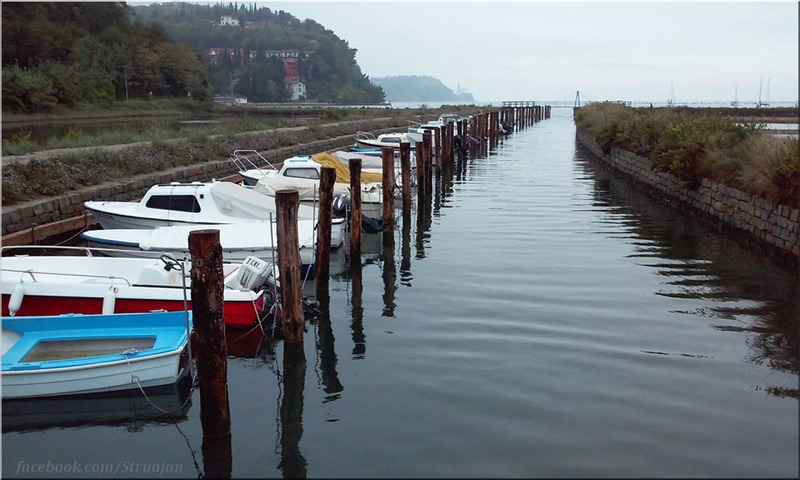 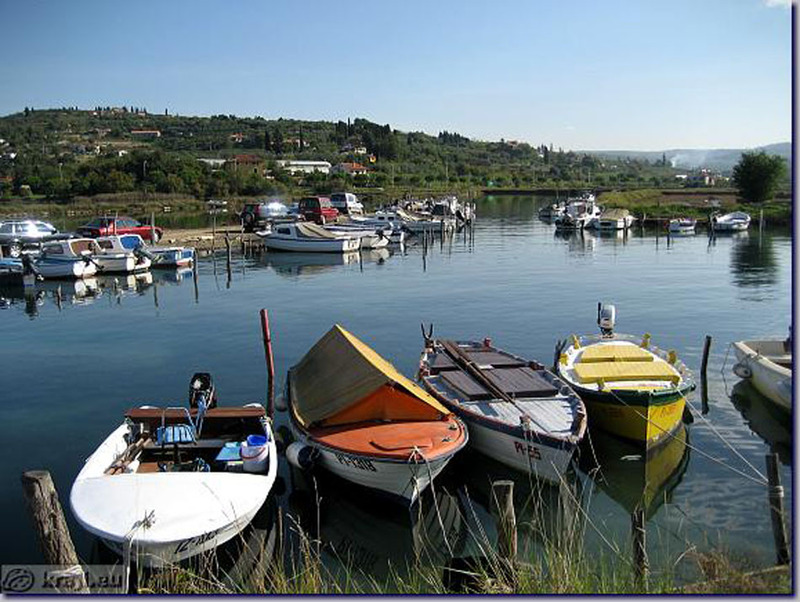 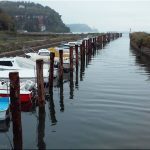 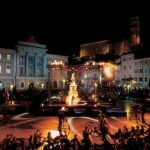 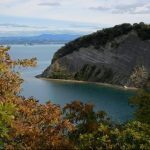 Among the most popular destinations are Portorož, which you can reach through a redesigned former railroad tunnel, and Izola, both 3km from Strunjan. 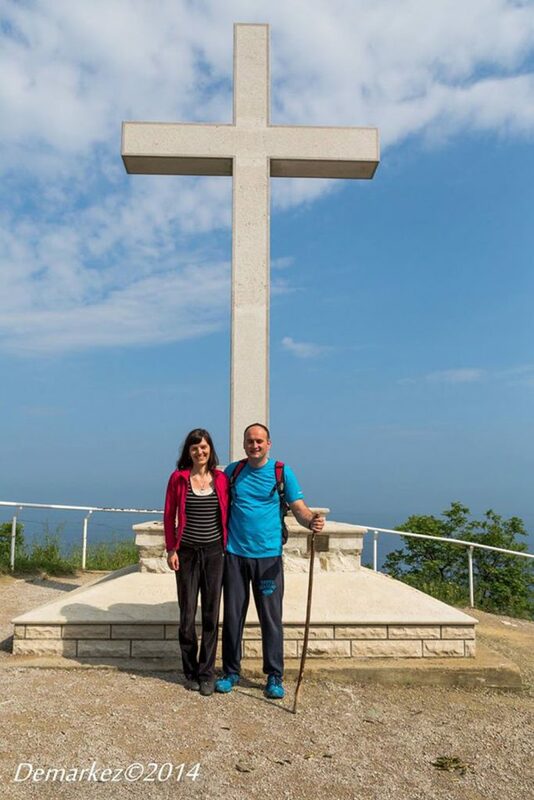 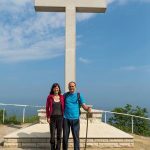 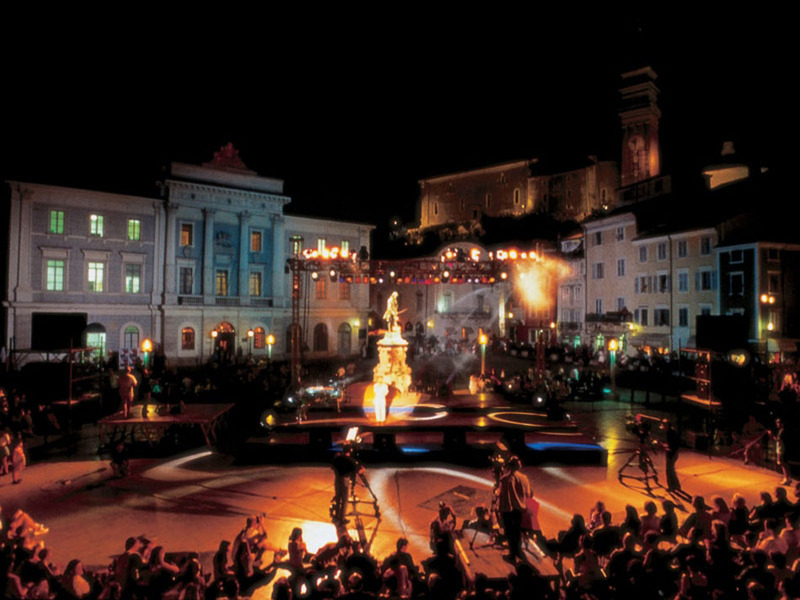 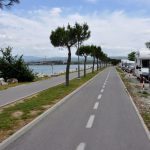 Strunjan lies on the international PATH OF HEALTH AND PEACE running along the former Parenzana railroad, which begins in Trieste and ends in Poreč. 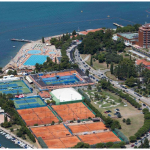 Tennis players can also master their craft. 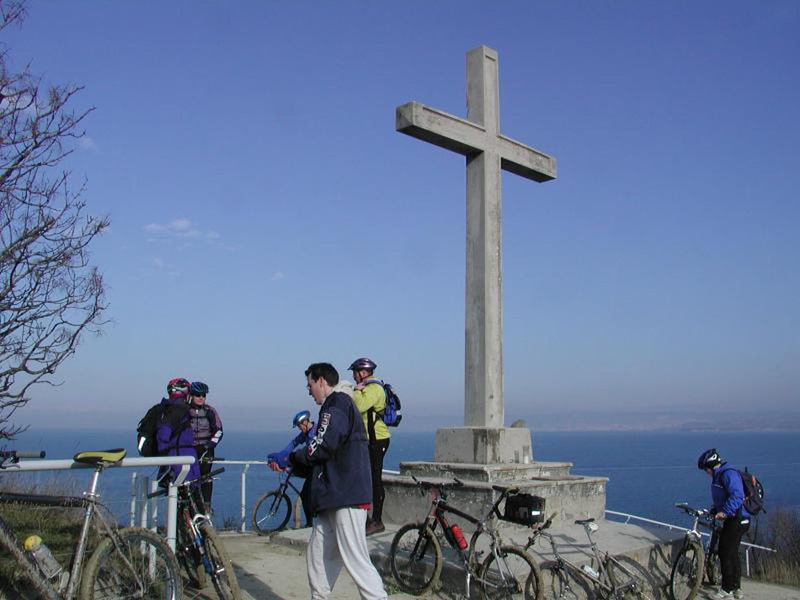 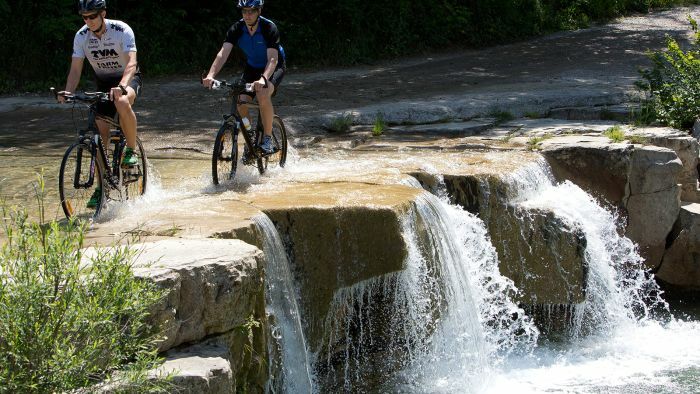 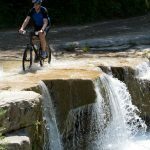 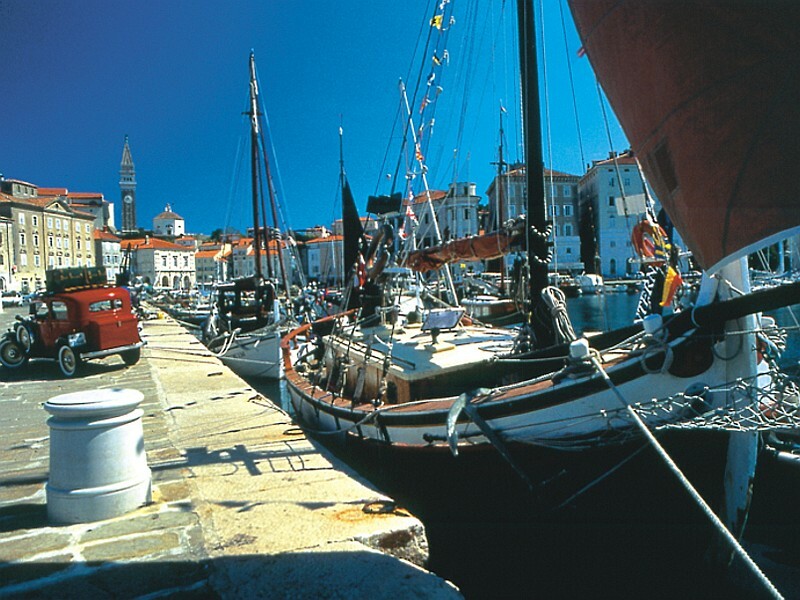 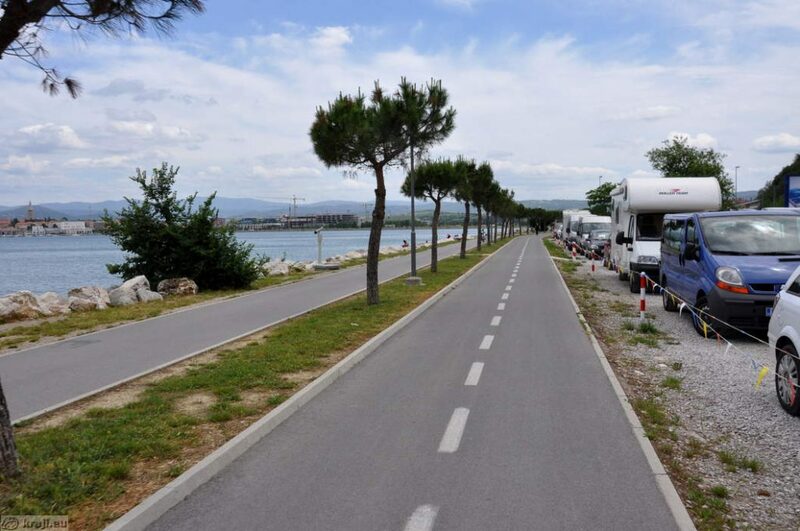 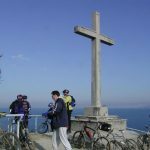 Cyclists can cycle on beautiful, more or less demanding routes to Koper, Izola, Portorož, Lucija, Piran, etc. 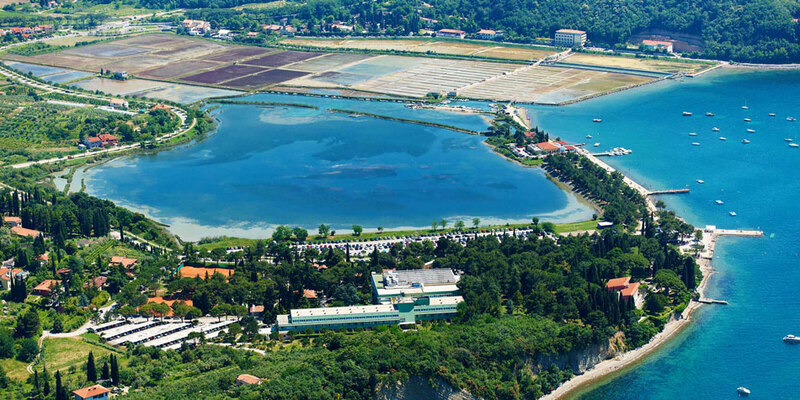 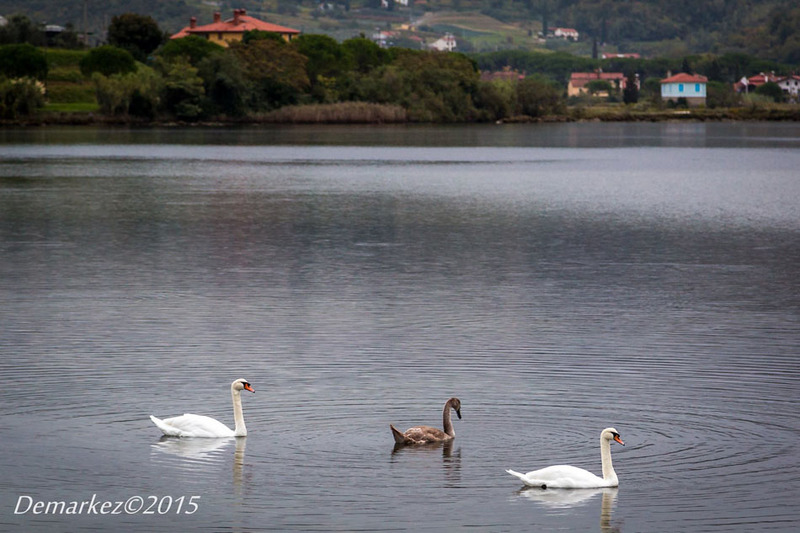 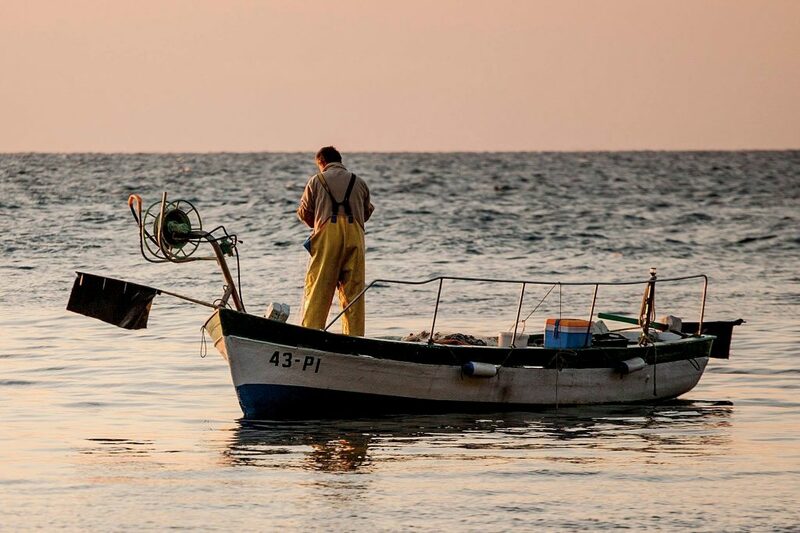 Strunjan prides itself on its nature reserve. 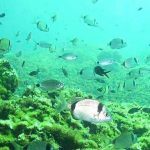 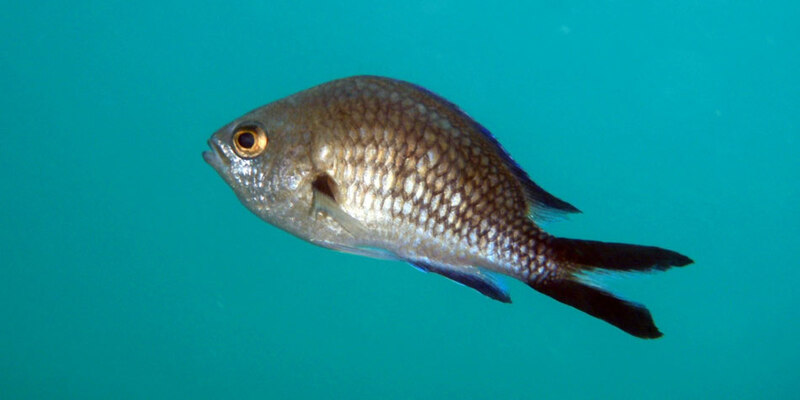 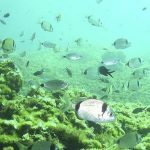 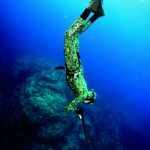 The marine part is very attractive for divers and also lovers of coastal fauna will have a lot to admire here. 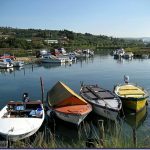 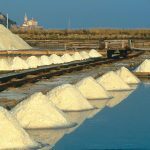 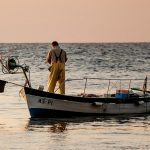 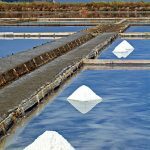 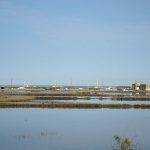 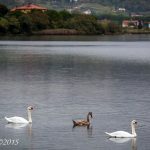 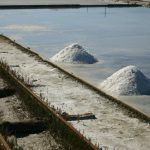 We also boast off salt pans where sea salt and therapeutic saline mud against various health problems (rheumatic disorders, arthritis…) – nowadays called fango were produced already several hundred years ago. 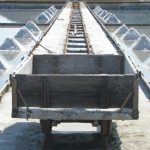 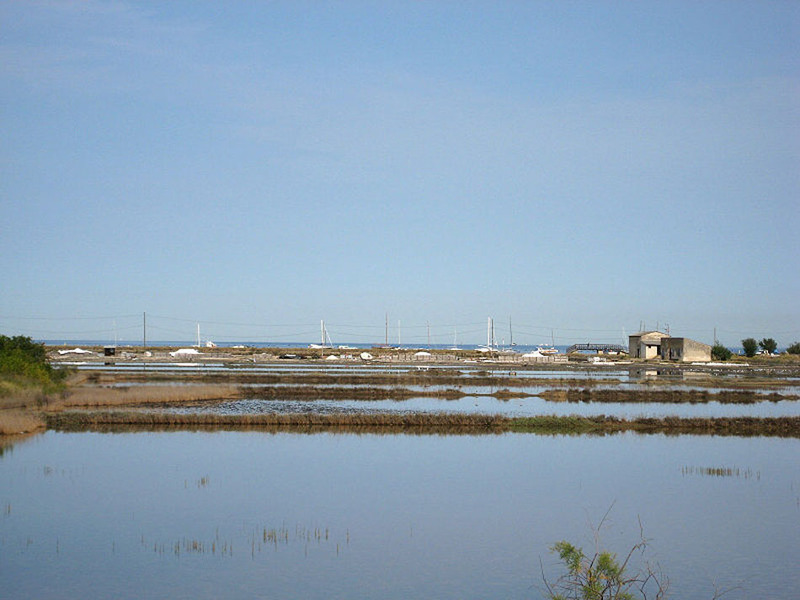 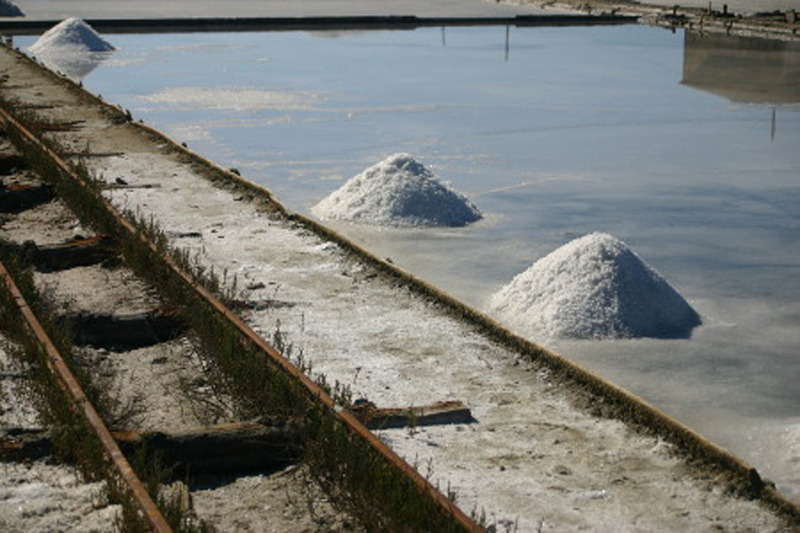 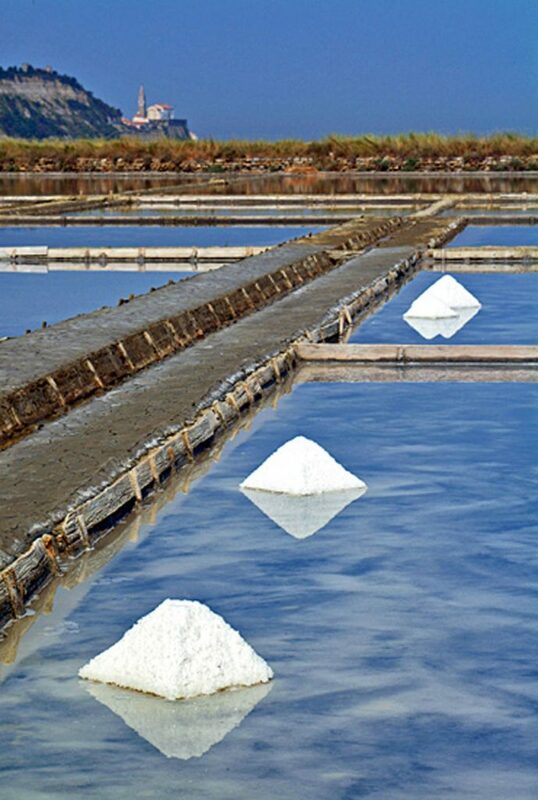 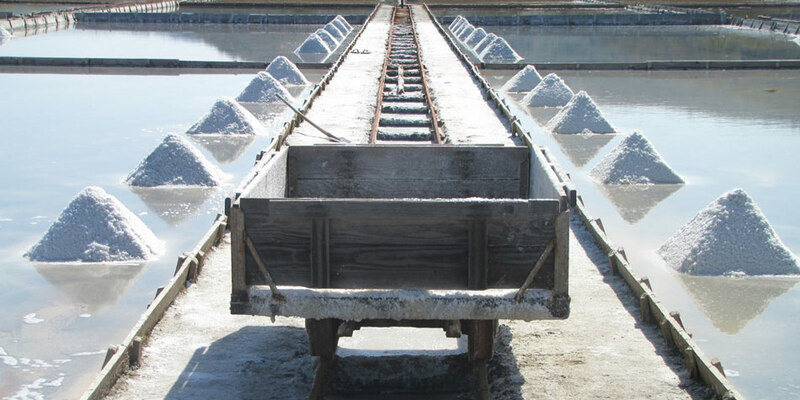 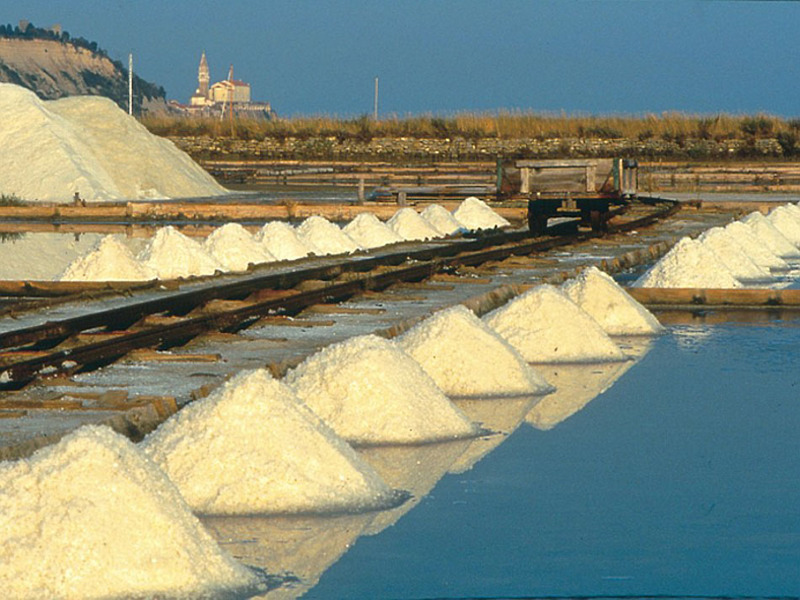 The salt pans of Strunjan and Sečovlje are the only ones in the Mediterranean where salt is crystallized on petola, a valuable sediment substrate. 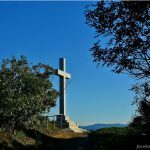 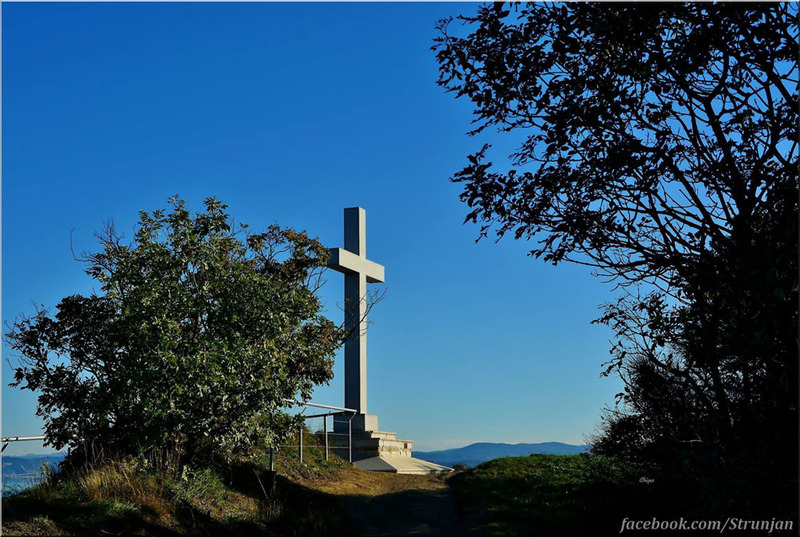 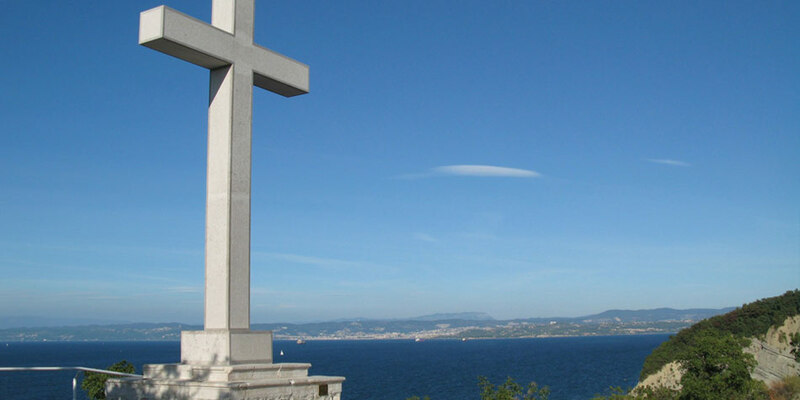 The cross and the large megalith under the rocks below the cross radiate positive energy. 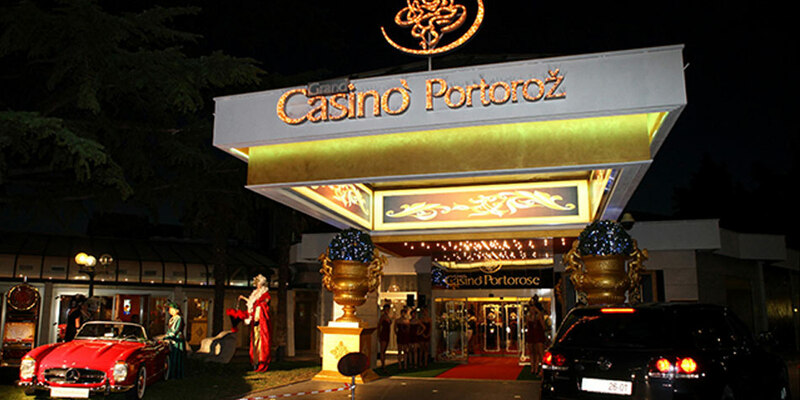 Therefore Strunjan always has and still does attract people who need to recharge with positive energy. 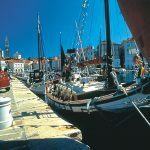 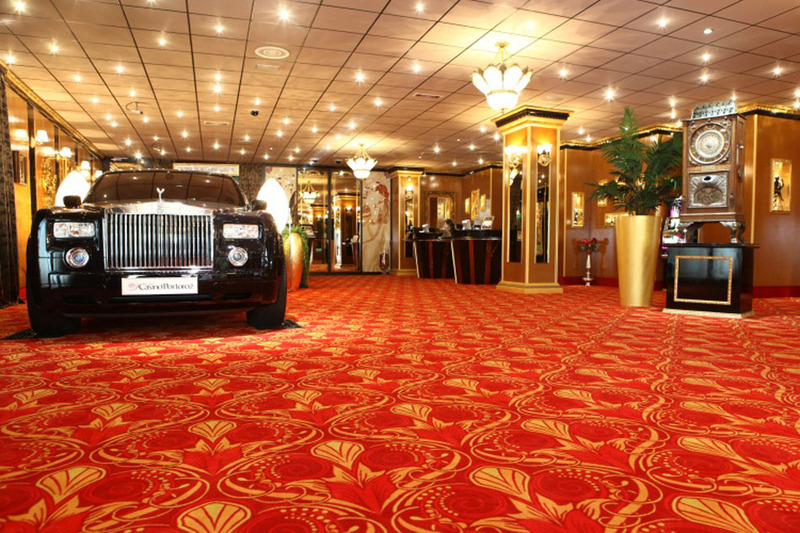 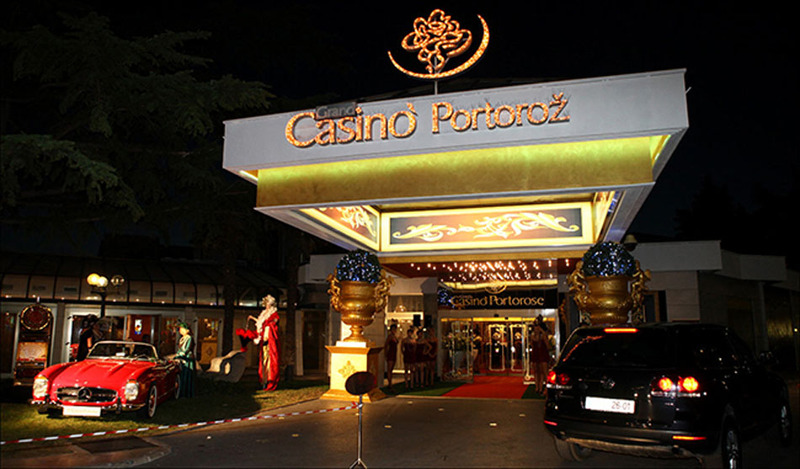 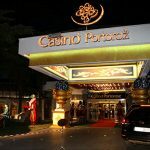 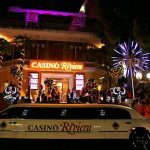 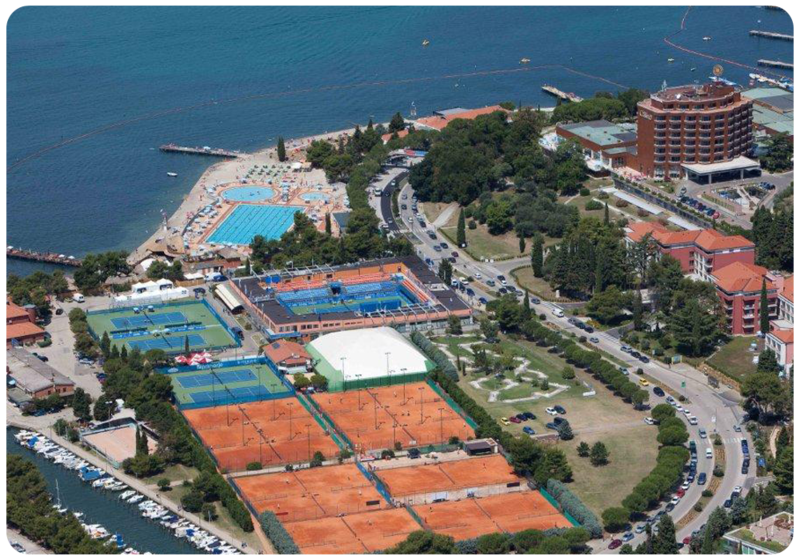 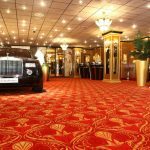 Everyone eager to try their luck in a casino can visit the casinos in Portorož only three (3) kilometers from Strunjan. 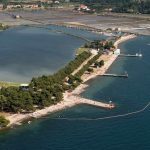 House Sosič in Strunjan strives to pamper you with the homely atmosphere of their rooms – studios, apartments and a restaurant so you can feel right at home away from home.